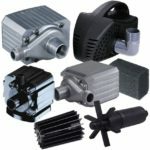 Pondmaster Hybrid-Drive Pumps are even more versatile! 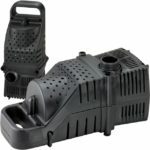 With a rotating connector the pump can be placed anywhere and the tubing can be manipulated with ease. These rugged pumps are designed for use in ponds, handle long, continuous duty operation, and can be plumbed inline or submerged in the pond. The motor is thermally protected and extremely energy efficient. Each Pondmaster Hybrid-Drive Pump comes with a pump bag to protect the intake and carries a 3 year limited manufacturer warranty. Pondmaster Hybrid-Drive Pumps are even more versatile! 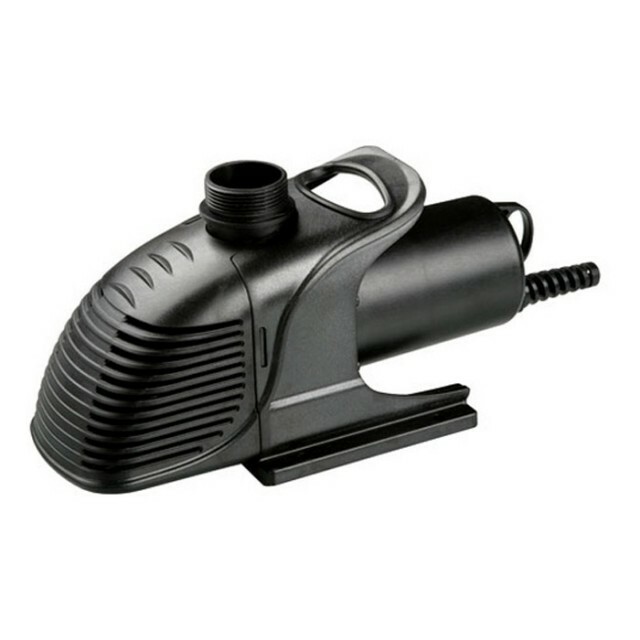 With a rotating connector the pump can be placed anywhere and the tubing can be manipulated with ease. 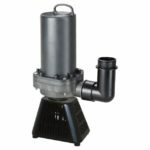 These rugged pumps are designed for use in ponds, handle long, continuous duty operation, and can be plumbed inline or submerged in the pond. The motor is thermally protected and extremely energy efficient. 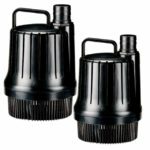 Each Pondmaster Hybrid-Drive Pump comes with a pump bag to protect the intake and carries a 3 year limited manufacturer warranty.